The IBM 1130 was a desk-sized computer designed for small-scale general-purpose and scientific applications. At its original release, IBM provided more than 50 programs for mathematical, statistical, and engineering applications. 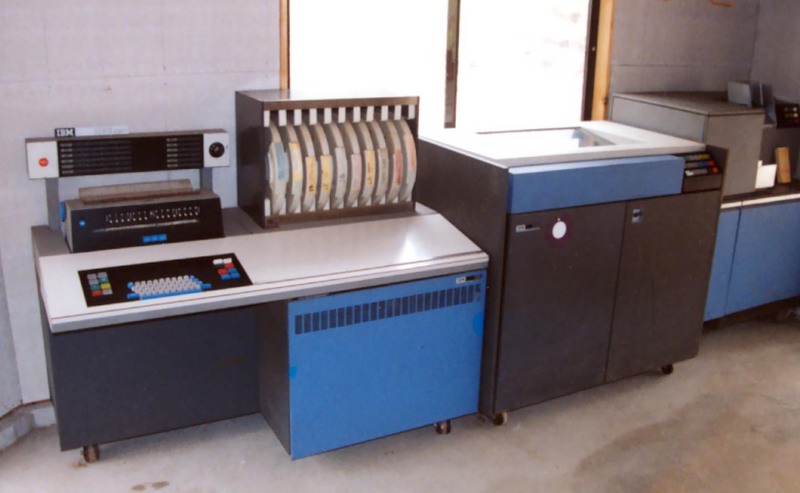 FORTRAN programs written for the 1130 could also run on the IBM Sytem/360 series. Programmers could also code in the RPG and assembly languages. The machine had removable one-megabyte disk cartridges. It could also support punch card and paper tape equipment, line printers, plotters, an optical mark page reader, disk storage packs, and graphical display units. An 1130 computer could also function as a remote processor terminal for a 360 computer.